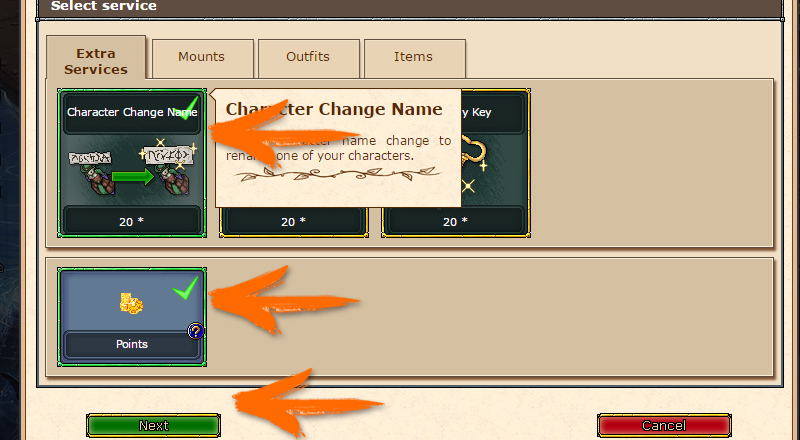 Character Change Name - Rename your character. 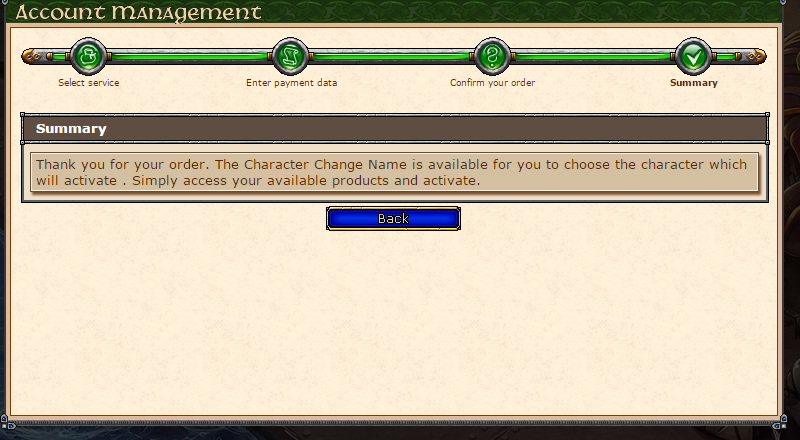 Account Name Change - Change the name of your account, the login you use to enter the game and the site. 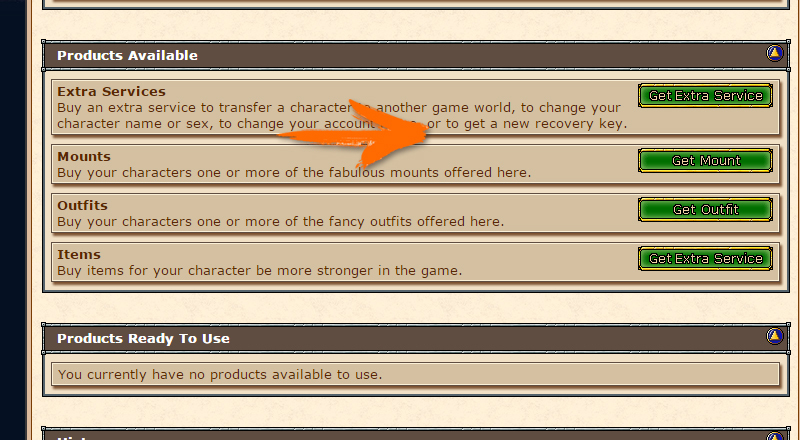 Recovery Key - A new Recovery Key for your account, in case you have lost your. 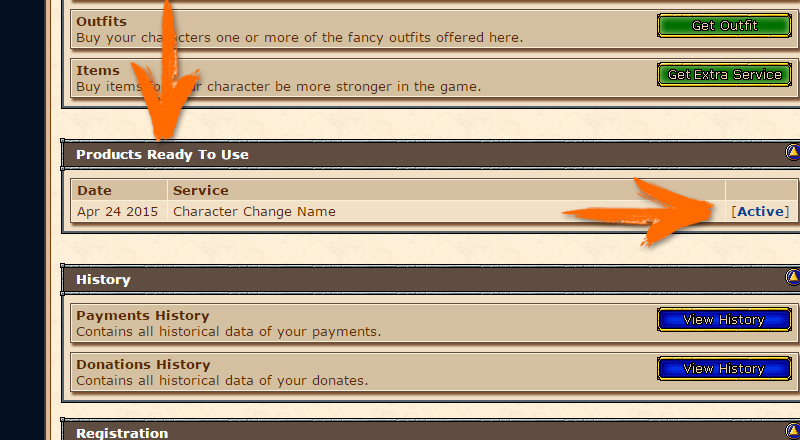 The purchase shown below is for extra services, items, mounts and addons. All purchases will require the same procedures. 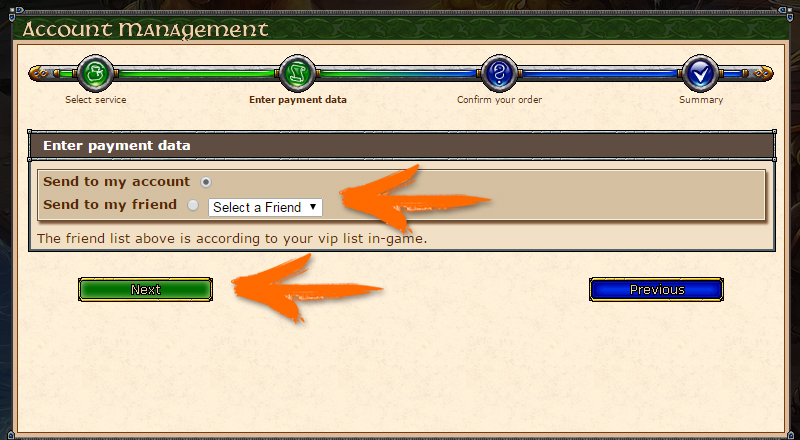 On this page you have two options to activate this service, the first one (which is already selected by default) activates the extra service in your own account, and the second activates the service for a friend of yours. 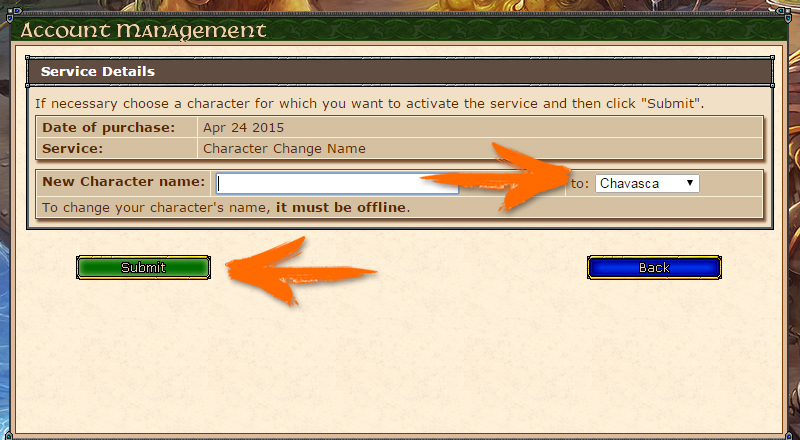 This is the part where you activate the service in one of the characters in your account, remembering that if you gave the service to a friend, the service will not be available for activation in your account, but in that of your friend.